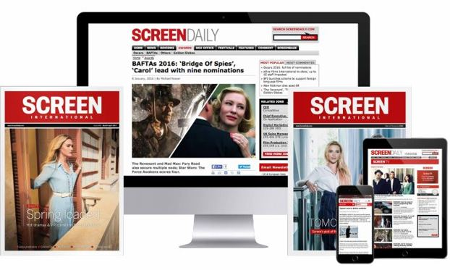 EXCLUSIVE: 4Digital Media boards UK/US rights to crime thriller. Filming is due to start in April on British crime thriller Kill Kane, starring Vinnie Jones as a family man driven to revenge following the murder of his family. Adam Stephen Kelly is set to direct from a script he co-wrote with Christian Sellers and Andrew Jones. The cast also includes Sean Cronin, Nicole Faraday (Bad Girls) and Sarah Alexandra Marks (Bonded By Blood 2). Cronin is set to be seen in the upcoming Mission Impossible: Rogue Nation and plays the main villain in - Kane Keegan - in Kill Kane. Andrew Jones and Emily Coupland produce for North Bank Entertainment. Robert Graham serves as executive producer. Independent Moving Pictures and Hood & Co are financing. UK and North American distribution rights have been acquired by 4Digital Media. The film marks Kelly’s feature directorial debut after short Done In premiered as part of Cannes’ Court Metrage strand in 2014. He was also an executive producer on 2014 crime-thriller We Still Kill the Old Way. Kelly said: “I’m incredibly excited to be working on the project, especially with Vinnie in the lead role. His character is very much a departure from the norm and is going to surprise a lot of people.